Patella tendonitis, otherwise known as "jumper's knee," is a common injury among basketball players. The patellar tendon is the attachment between the kneecap and shinbone and helps the leg to straighten and bend properly. Injury or overuse of this tendon from repeated movements, like jumping and changing direction, can cause irritation or inflammation to the kneecap region. 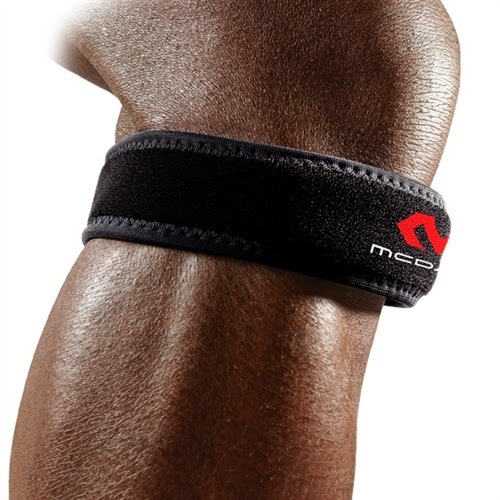 The McDavid Knee Strap is perfect for this type of injury, because its non-slip buttress distributes just enough pressure to relieve the pain. Not only is it great for "jumper's knee," but it's also ideal for other issues like Osgood-Schlatter disease and patella tracking. As a one-size-fits-all band with an adjustable hook and loop, it can be strapped tighter or looser depending on the amount of tension and pressure desired. A Medial Collateral Ligament (MCL) injury is also quite common in basketball. This type of injury usually happens when the MCL is stretched or torn when the knee is forced into a knock-knee position, which is when the legs turn inward with knees touching, ankles separated. 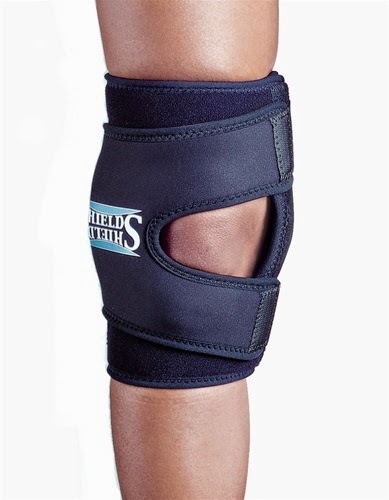 A medial-lateral brace with thigh and calf sleeves or straps, like the Hely Weber Shields Knee Brace, can significantly lessen the painful symptoms by limiting the range of medial-lateral tilt, anterior-posterior tilt and rotational motions. Controlling the kneecap and preventing hyperextension, it stabilizes the MCL and patella with its wide bi-axial hinges. And for added comfort, this knee brace is made out of perforated neoprene for cool compression and ventilation. Lastly, there's the dreaded ACL injury—the stuff nightmares are made of for serious athletes. Basketball players can tear their ACL (anterior cruciate ligament) by changing direction too abruptly, twisting the knee unnaturally or enduring a hit directly at the center of the knee. Despite the pain and possible surgery, the long recovery time of anywhere between 6-12 months is enough to cause significant physical and emotional deterioration. Fortunately, there are many multidirectional stability braces, like the Mueller HG80 Hinged Knee Brace, to aid in the recovery process. The Mueller HG80 supports both sides of the knee with its flexible steel springs, minimizing abnormal motion yet still permitting leg flexion and extension. In other words, it supports without restraining flexibility. The knee braces mentioned above are designed with the main basketball movements - like pivoting, cutting, jumping and running - in mind. It's important to remember that most knee braces are not prophylactic or made for injury prevention. They are support systems for present injuries and help with daily muscle and ligament function. Check out our wide range of knee braces and supports for other options.